slowthai, the UK’s most electrifying new voice shares latest track ‘Doorman’ produced by Mura Masa. Not one to be boxed in by a genre, ‘Doorman’ is a shift in gear for Northampton born and bred slowthai, sonically adopting punk elements and a chugging bass-line as his vocal sits comfortably across the rapid beat. 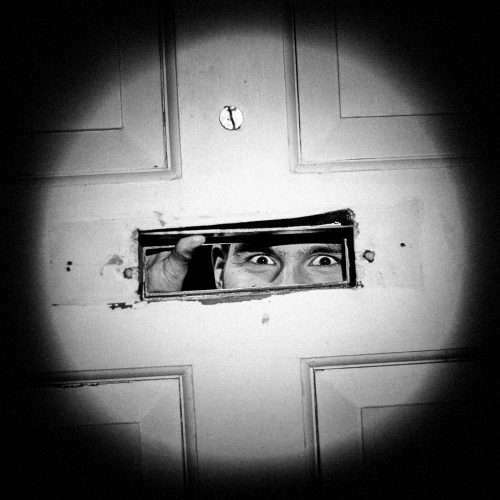 Unafraid to challenge perception, Doorman is an energetic statement that will leave listeners intrigued and captivated, something fans have come to expect from slowthai. Identifying with the punk aesthetic, slowthai’s music carries the mindset and movement of what punk was and is today. A refusal and push back on the powers that govern us and a call to arms to rise up against the consistent injustices faced every day by working class people. ‘Doorman’ follows on from pervious single ‘Rainbow’ and his critically acclaimed recent EP ‘RUNT’ which featured stand out track ‘Drug Dealer’, and sees slowthai effortlessly tread the line between grime, rap and garage, in an unmistakeably British fashion. His lyrics cut through with a rawness and unflinching honesty, that has the listener hanging on every word and has seen radio tastemakers Annie Mac, Gilles Peterson, Zane Lowe and Benji B all jump on board and YouTube and VEVO pick him as a ‘One To Watch’ for 2019. With a debut LP set for early next year, slowthai has become the artist to watch.